Happy Tuesday, friends. Last week I gained back two pounds on Weight Watchers, and I am totally fine with it. I know I didn’t eat enough (7,000+ calories) to gain two pounds of actual weight, so I’ll blame it on the cheeseburger I ate on Friday night in a moment of “I’m eating whatever I want for the first time in 11 weeks!!!! !” and stress/water retention. But I digress. 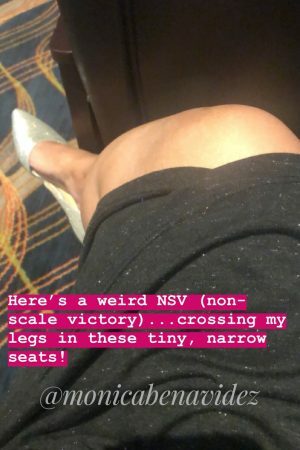 I was absolutely smitten and left speechless (literally…I’ve completely lost my voice! Daniel’s thrilled…ha ha!) with two rooms I saw this past weekend. One landed in my mailbox via the current Ballard Designs catalog and the other came about as I was bored on Sunday and headed to Pinterest. Let’s look at the rooms that have the wheels in my head spinning. I want to implement elements from this room into my whole house. Can you imagine living in THIS living room? 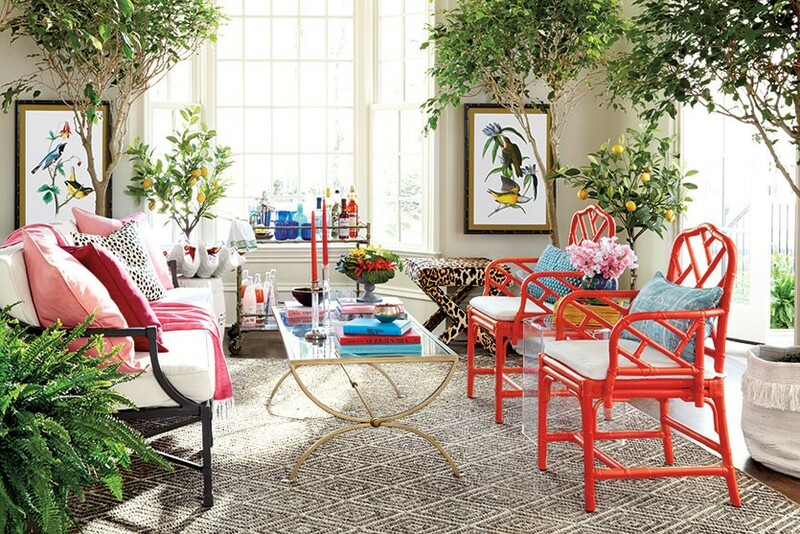 Those chairs, the colors, the leopard ottoman, the bird prints…I want it all. That room is what I DREAM of my home looking like, and of course it totally helps that Eddie Ross styled the room. His aesthetic is impeccable and he’s got the whole mix-and-match formula down pat. It’s not matchy-matchy yet all matches. Eddie Ross: teach me your ways! But in real life, I’m a commitment phobe to that much color. I hate to waste money on larger decor/furniture pieces that I don’t think/know I’ll like in the long run. I also think to myself, would these colors still look good in the middle of October? How about Christmas? I need to be more daring with my decor choices and not confine myself to “norms”. 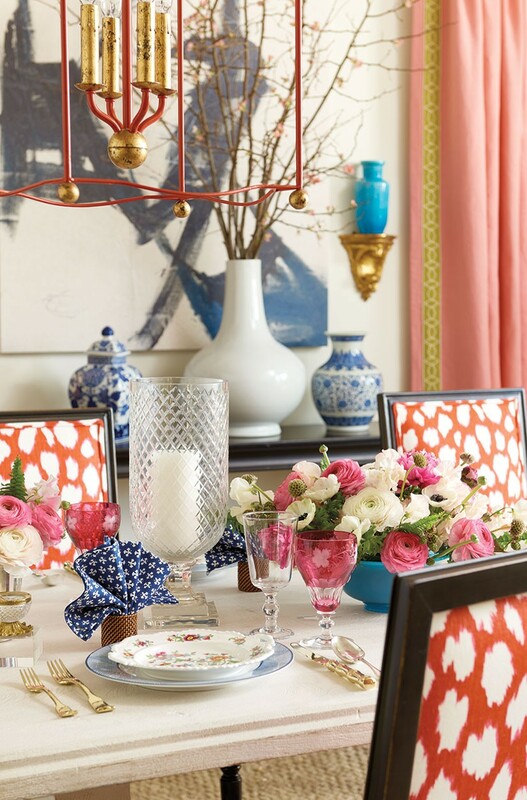 A trend I notice that I gravitate to is the spotted/leopard/Thibaut Tanzania wallpaper-esque patterns, which is evident in this room below that is AMAZING. 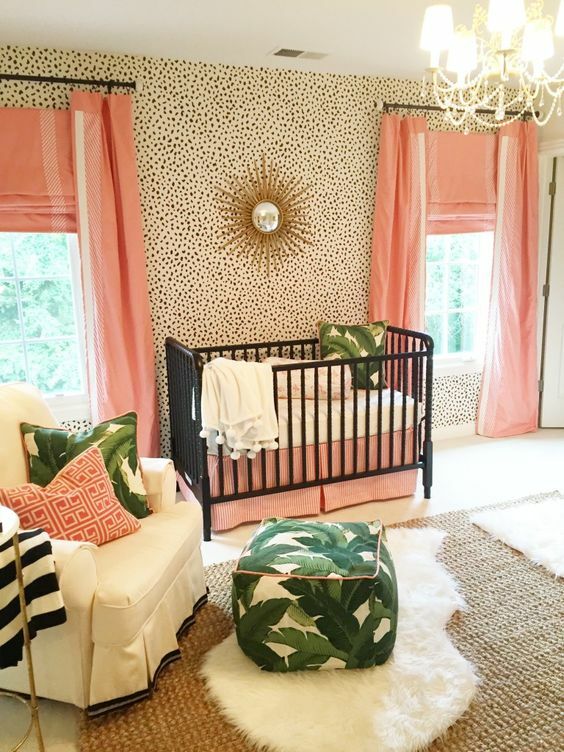 Yes, it’s a nursery, but the overall design, colors and Palm Beach glam are stunning. Sign me up for a pair of those coral curtains, please. And that mirror. And the Thibaut Tanzania wallpaper. With those two rooms in mind, I’m going to plan an office revamp 2.0 this summer. 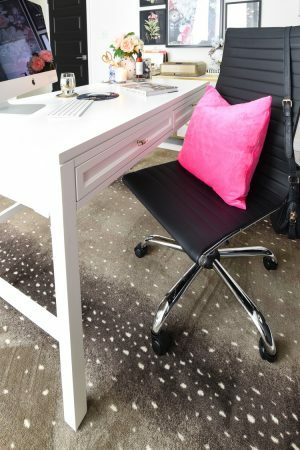 I’m keeping my most fave black/white/gold accents, adding in coral, mixing in some spotted patterns and amping up the sophistication to create an epic home office to build my empire. I got this! 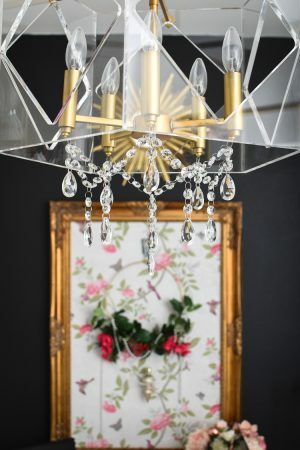 But seriously, you need to go see all of the jaw dropping gorgeous rooms that Eddie styled for Ballard Designs and order yourself a copy of their most recent catalog if you’re not already on their list. 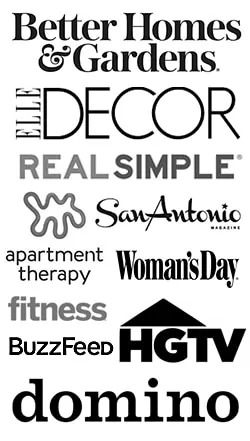 I may need a third job to afford to buy all the stuff I want from there. At the top of my list is this wallpaper for my office accent wall. I’ll be back with a mood board and shopping list (luxe for less style, y’all know I am very budget minded) for the office re-do, so stay tuned.